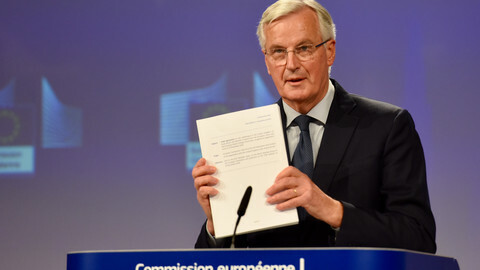 EU and UK negotiators concluded a Brexit deal on Wednesday (14 November) that Brussels says is the best available, given the red lines of the bloc and London. The final, 585-page long text of the accord was published late on Wednesday, but it still needs the political approval of both sides. 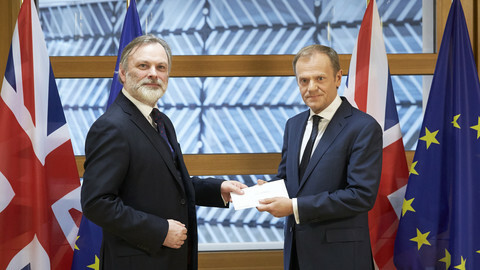 The EU has signalled it is ready to do that with EU council president Donald Tusk convening a meeting of EU leaders for 25 November "if nothing extraordinary happens", he said. However, something "extraordinary" is happening, with the UK government rocked by resignations in London, including that of the Brexit secretary, Dominic Raab, another pro-Brexit cabinet minister Esther McVey, and several junior ministers. Here is a look at some of the key points of the deal that was agreed between London and Brussels. If the withdrawal agreement is accepted by both sides, there will be a transition period beginning March next year and ending in December 2020. During that period the UK would not be a member of the EU anymore - but other than that not much would change, except that the UK would not participate in EU decision-making. All EU rules would still apply during the transition period, something hardline Brexiteers dislike, since it would leave London as a rule-taker without a say. The transition period is necessary for citizens, public administrations and businesses to prepare for the future trade deal that will have to be negotiated after 29 March 2019. The transition period can be extended - once - for a time-limited period, and that decision will have to be made in July 2020. The infamous backstop, which basically is an insurance policy to avoid a hard border on the island of Ireland and thus preventing reigniting the sectarian conflict there, would come to force if the UK and EU do not manage to agree a future trading deal. The backstop, if necessary, would only be used at the end of the transition period. It envisages a UK-EU customs territory, with Northern Ireland being in that customs union but more closely-aligned with EU rules. The customs union means no customs duties are levied on goods circulating within that union and members of the customs union can impose a common external tariff on all goods entering the union. It means there would be minimum checks between the UK and Northern Ireland, mostly on animal welfare, with the rest of the checks being done on the market, or in the ports. There would be no checks between Northern Ireland and the Republic of Ireland, a key aim of the talks. The EU emphasises that this was based on the UK's proposal - which wanted to avoid customs checks 'in the Irish Sea' (ie between Northern Ireland and the rest of the UK), arguing it would destabilise the country's constitutional order - and it means a concession on the EU side. But the EU-UK customs territory would come with serious string attached - disliked by hardline Brexiteers - as the UK would have to continue to apply some EU rules on the environment, social protection, state aid, competition and taxation to make sure UK businesses do not get an unfair advantage over EU ones by deregulating and lowering standards. Another important point is that the UK would not be able to unilaterally leave the arrangement, even though is intended to be temporary. If it would want to withdraw, it would go to a joint committee of the UK and the EU set up to oversee the Brexit deal, and so the two parties together would make that decision. If the backstop comes into effect, another issue is that it also means the UK will have limited scope to pursue an independent trade policy, a key demand of Brexiteers. The customs union concerns goods, so the UK could do deals on services and investment. Conflicts that would arise from the application of the withdrawal agreement would be sorted out initially by a political consultation in the joint committee. If it could not make a decision, then either party can refer the issue to a five-member arbitration panel consisting of selected independent individuals. They would be able to refer issues concerning EU law to the EU's top court, the European Court of Justice (ECJ) for a binding ruling. The ECJ is another EU institution the Brexiteers dislike. It means the ECJ will retain a role in matters of EU law application in the UK. The decision of the arbitration panel will be binding in the UK and the EU. In case of non-compliance, the arbitration panel may impose a penalty payment. If that does resolve the issue, the parties can suspend, proportionally, the application of the Brexit deal, except for citizens rights. This all would kick only once the transition period ends. 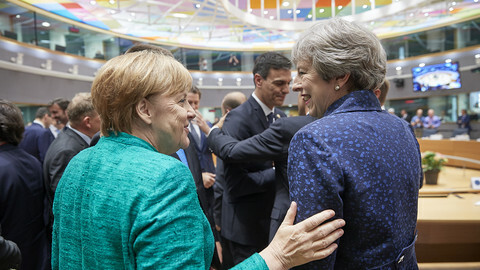 The UK will have to pay its existing dues to the EU budget until the end of December 2020, when the current long-term EU budget ends. The total bill is estimated by the UK's Office for Budget Responsibility to be €41.4bn (£37.1bn), extending to 2064 as pension liabilities phase out. During the transition period, the UK will continue to have to contribute to the EU budget, which will be decided by the joint committee. One of the key elements of the withdrawal deal was to make sure existing rights of the over three million EU citizens living in the UK, and the one million UK nationals living in the EU are protected. 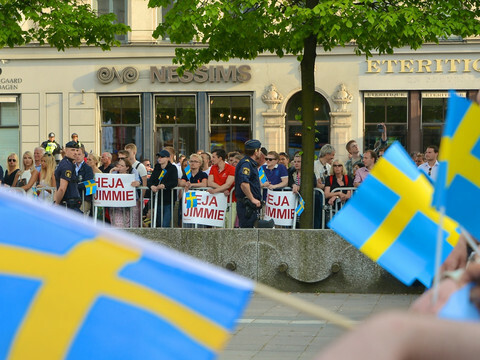 They and their families will be able to retain those rights that they had before the transition period ends on each other's territories for the rest of their lives. People will also be able to maintain their right to healthcare, pensions and other social security benefits. Those working or studying in the UK will be able to hold on their rights under the EU free movement rules, but after the transition period ends, will have to apply for a new UK residence status, where the procedure will have to be smooth and simple. National provisions will have to be in line with the Brexit deal, and application of citizens' rights will be monitored by the joint committee. UK courts will be able to ask for preliminary rulings from the ECJ on the interpretation of the citizens' rights for eight years after the transition period. It all sounds good, but groups representing EU and UK citizens, the British in Europe and the3million, are disappointed. They point out that British in Europe will be losing their right to free movement, meaning they will have to stay in the EU country where they currently live or work. EU citizens living in the UK will be forced to pay a fee to apply in the UK to stay where they have been living for - in some instances - decades. What happens to Parma ham? Over 3,000 geographical indications, such as Parma ham, Champagne, Feta cheese, and Tokaj will remain protected in the UK under national law. The issue of who fishes what, where and in what quantity remains to be negotiated under the future trading deal. The Brexit deal says the two sides will use their "best endeavours" to agree on a fisheries and aquaculture agreement by 1 July 2020, when the EU and the UK hope to have a singed and ratified future relations deal. The EU has said that it would allow British seafood exporters tariff and quota-free access to EU markets in exchange for a reciprocal deal that EU fishing fleets can continue to operate in British waters. The future UK-EU relationship will be negotiated in detail as soon as the UK becomes a third country in March 2019. It will "build on the single customs territory provided for in the withdrawal agreement", something which the hardline Brexiteers also hate. What are the key points of the Brexit deal? 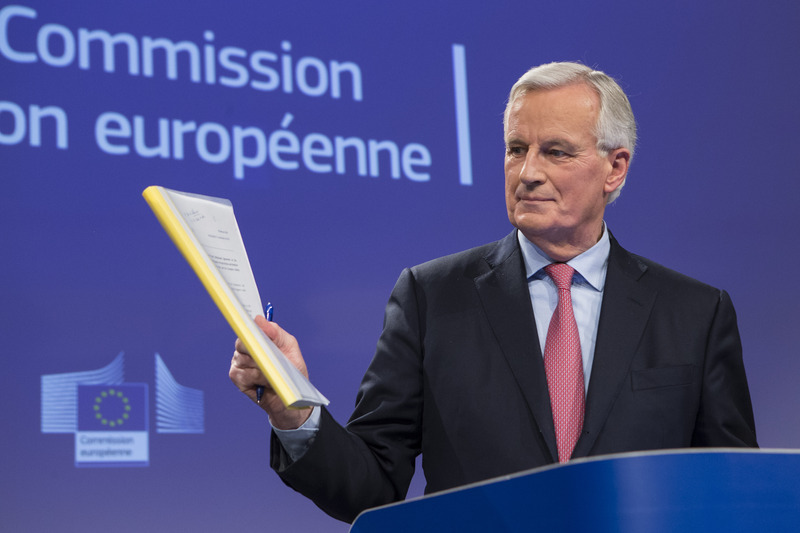 Here is a brief summary of the main points of the 'joint report', the outline of the Brexit divorce deal reached on Friday morning - and what still lies ahead. 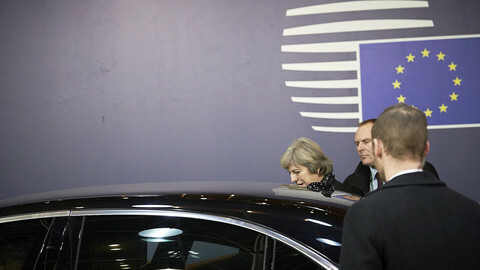 The EU is open to extending a proposed Brexit transition period for another year, as Theresa May arrives in Brussels to brief EU leaders on how she sees the way forward in highly-precarious Brexit negotiations. 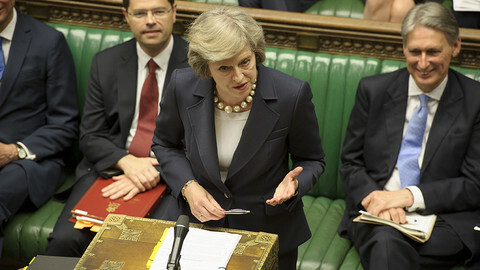 British PM Theresa May battles for survival as she faces calls for her resignation and the rebellion of several ministers who resigned over the draft Brexit deal - which the EU is preparing to sign later this month. 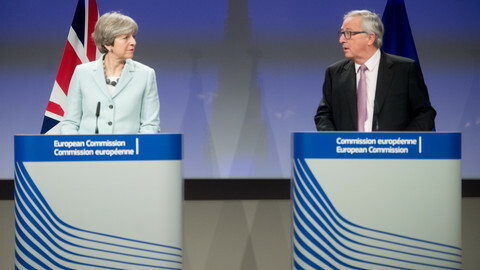 The EU commission has set out conditions for the UK's future trade talks in the event Britain crashes out of the bloc with no deal - including solving the Irish border issue. An emergency summit on 10 April is possible.